Summer has past and fall is here. With winter is just around the corner, autumn is the perfect time to take care of a few things inside and outside your home before winter weather arrives. The home maintenance checklist below will help you complete all the necessary tasks that might otherwise be forgotten without this little reminder. · Inspect weatherstripping around exterior doors and windows for signs of deterioration and replace it or make necessary repairs. · Keep an eye out for sales and deals on close out items left over from summer. Purchase and/or replace any lawn and garden tools. You’ll be ready for next spring at half the price. · Shampoo carpets and paint interior rooms while it is still warm enough outside to leave the windows open. · Check your heating system and make sure it is functioning properly. Check filters and pilot lights. Schedule an appointment to have your heating system service by a professional. · Vacuum and clean dust from vents, ducts, cold air returns and baseboard heaters. · Remove and store window air conditioning units. Units that cannot be removed should be covered with plastic for protection throughout the winter. · Detach hoses in case of freezing temperatures and store them in the garage or garden shed. 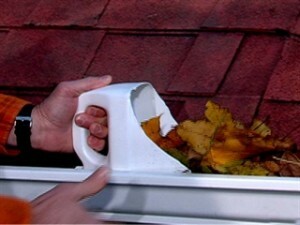 · Clean gutters after all the leaves have fallen and make sure downspouts are functioning properly. · Set automatic sprinklers for winter.